Gorgeous bi-level in Amherst features 4 beds, 4 baths, main floor living room, kitchen, lower level family rooms, a 3 car garage. Meticulously maintained - pride of ownership shines throughout. Enjoy warm summer evenings on the tiled patio or keep cozy in the winter in front of the family room fireplace. The furnace, central air, gas fireplace, and ceiling fans keep this home comfortable all year long. Pefect for entertaining inside or out. This home is perfect and move in ready. Neutral tones throughout make it easy to picture yourself calling this one home. This home lives large. Welcoming from the moment you arrive. Mature landscaping provides ample shade in the front. Close to dining, shopping, entertainment & other amenities. 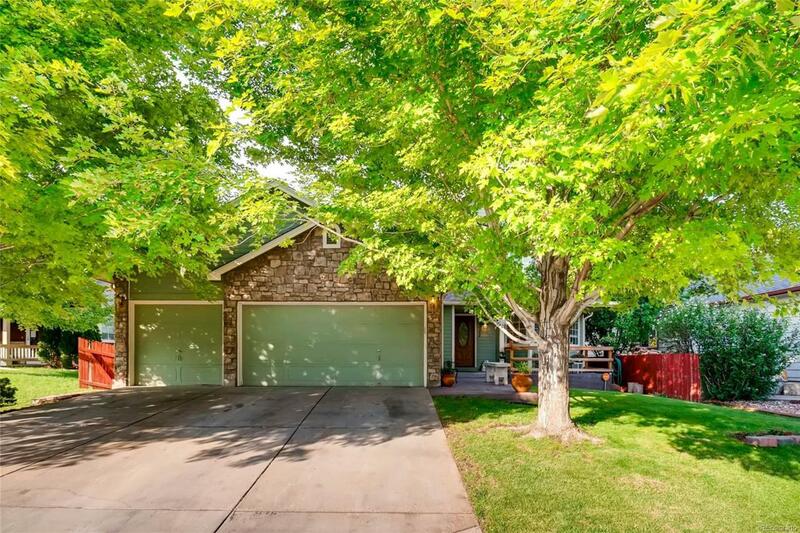 A short commute to Lone Tree, Centennial, DTC or head to the foothills and beyond. A beautiful home dont miss your opportunity. Welcome home!